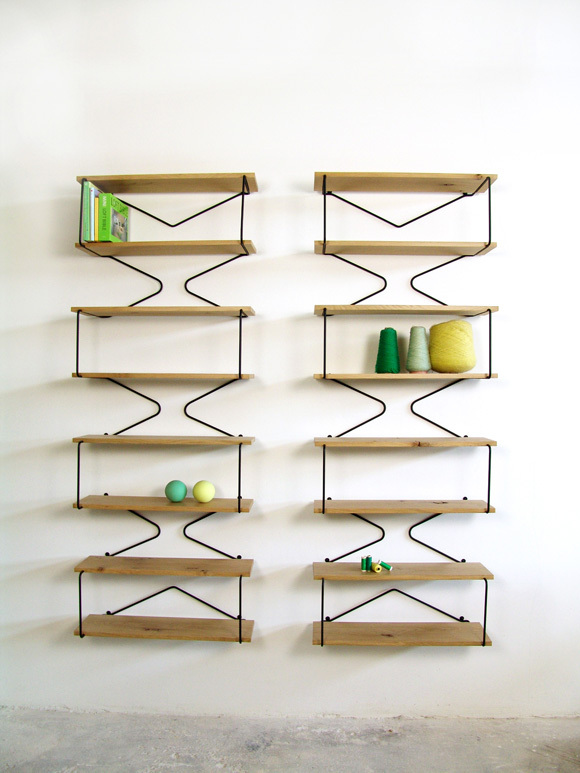 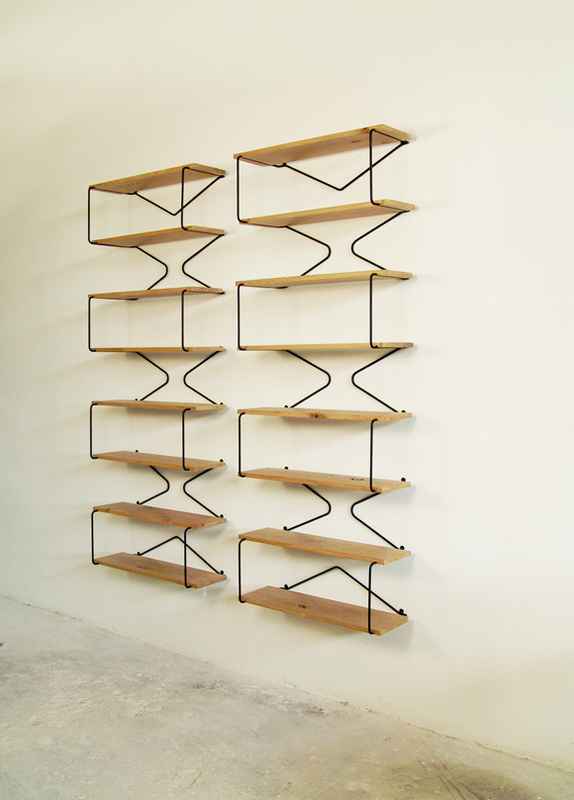 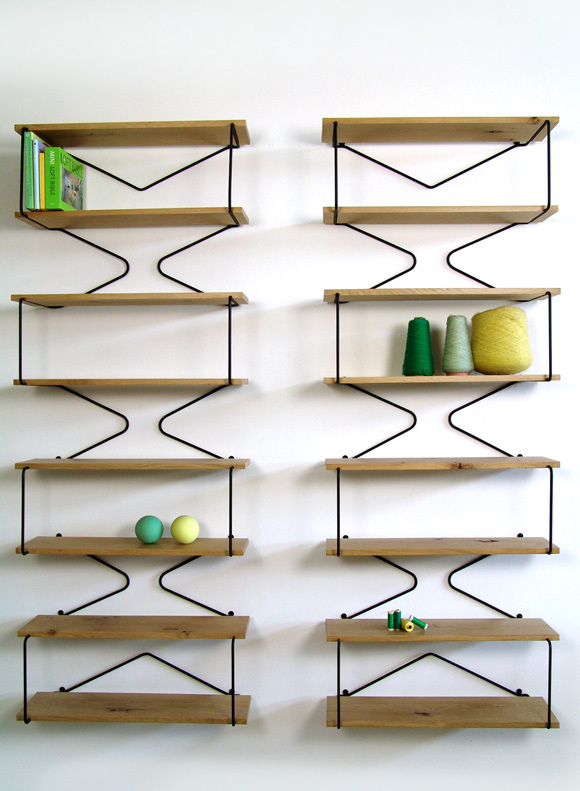 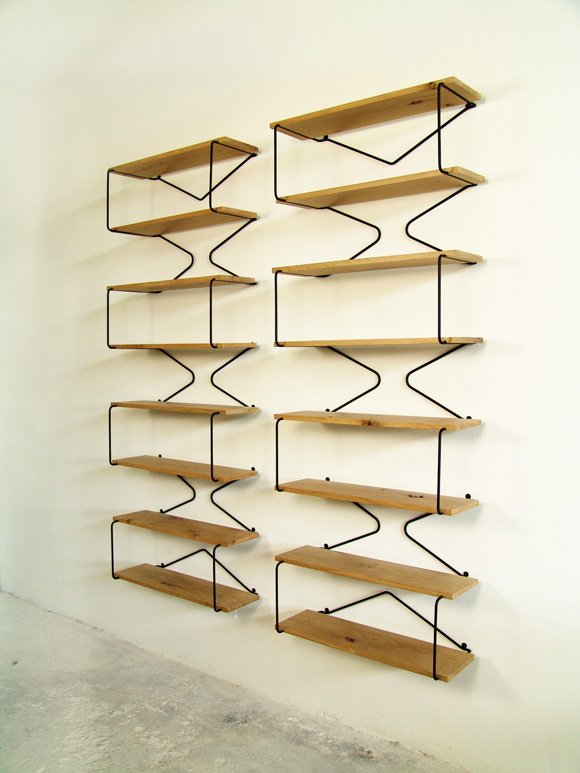 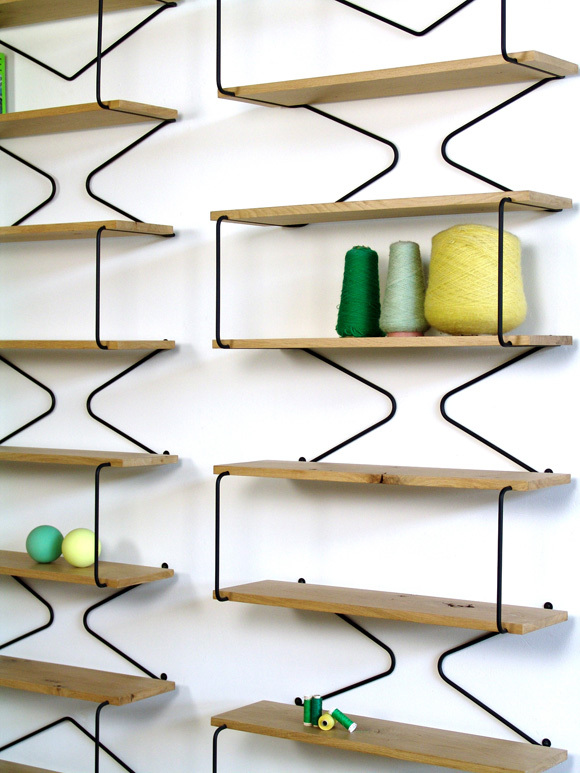 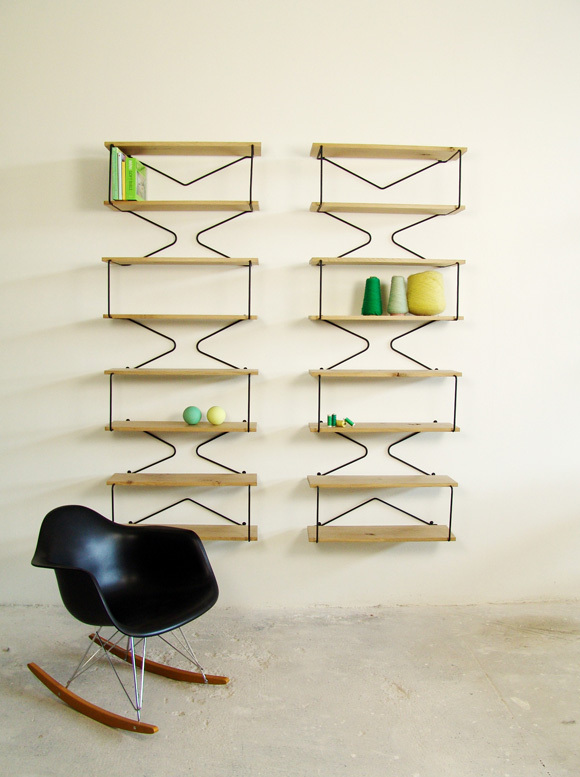 An elegant variation on the first X-ray bookshelf. 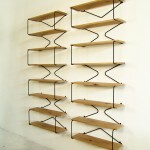 Also from all angles a very interesting form. 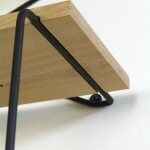 The iron is bend out of one length. 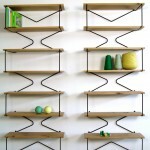 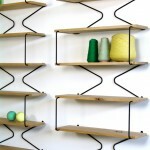 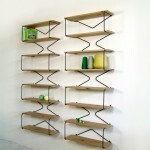 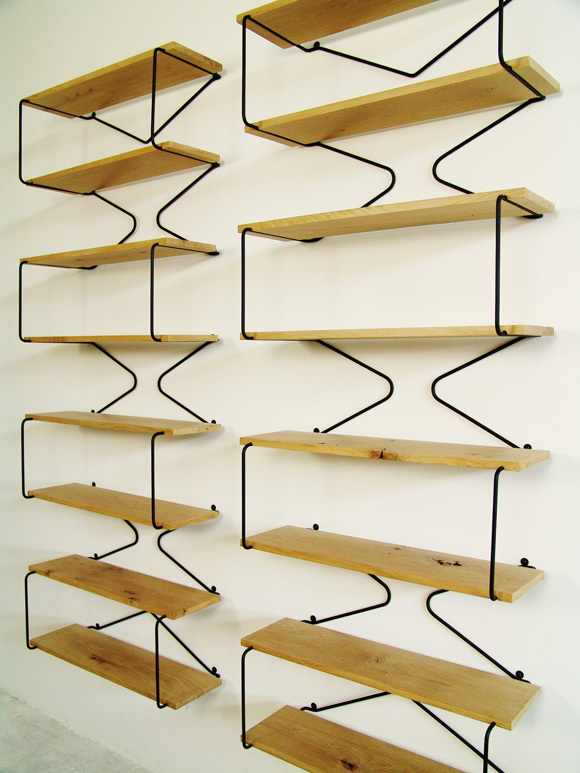 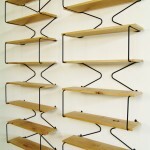 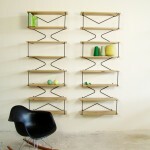 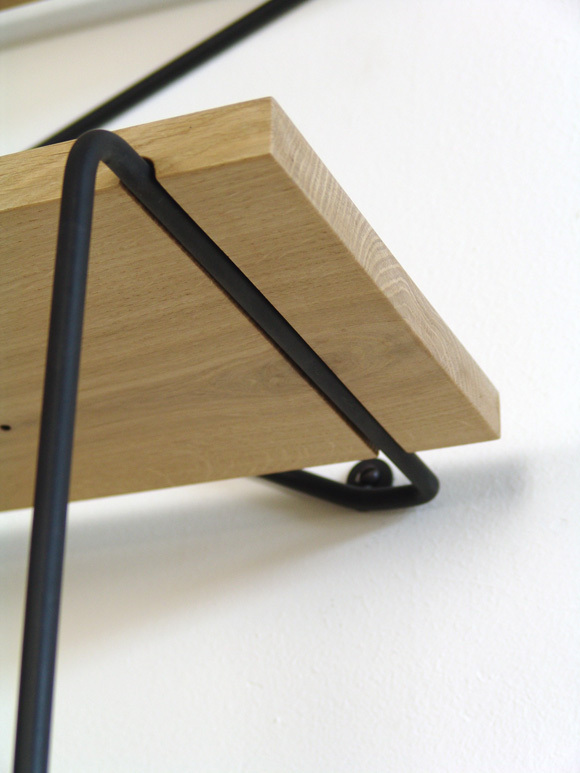 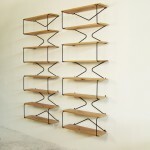 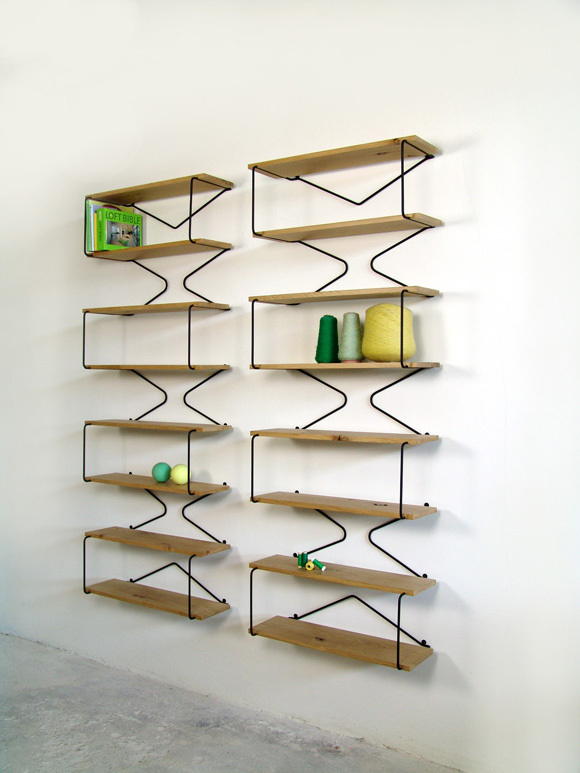 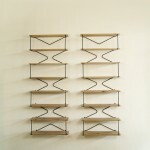 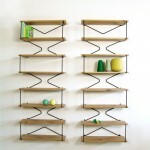 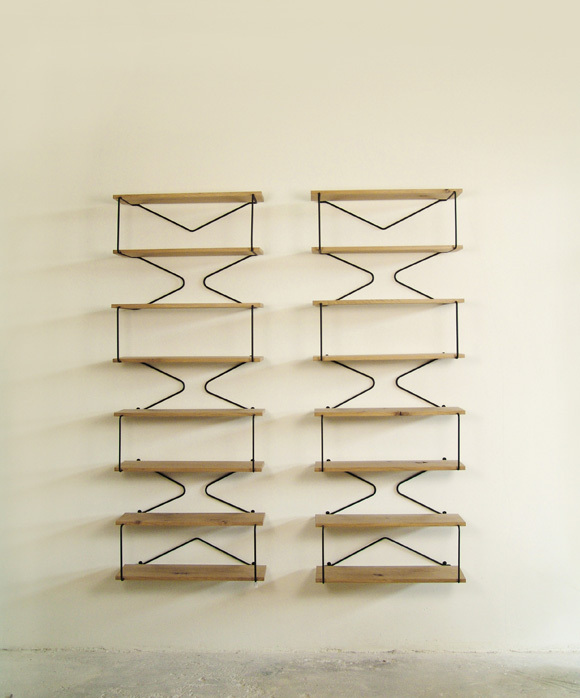 The eight shelves are made from oak and several times covered with a semi-matt finish.